Olive Garden’s most popular promotion – Never Ending Pasta Bowl – returns today with the first-time addition of the restaurant’s best-selling entrée, Chicken Alfredo. 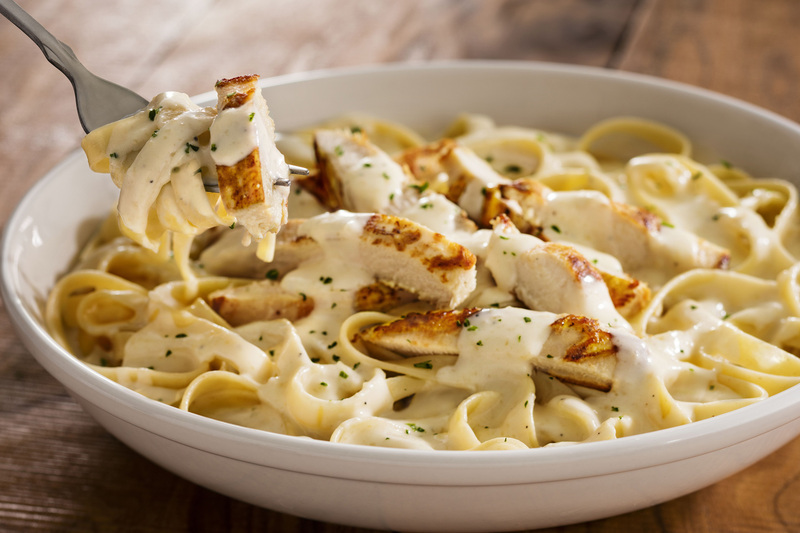 From now until November 20, the promotion will offer pasta lovers unlimited servings of their favorite pasta combinations, homemade soup or salad and freshly baked breadsticks, starting at just $9.99. Toppings: Meatballs, Italian Sausage, Crispy Chicken Fritta, Crispy Shrimp Fritta or Grilled Chicken can be added to any combination starting at $2.99. 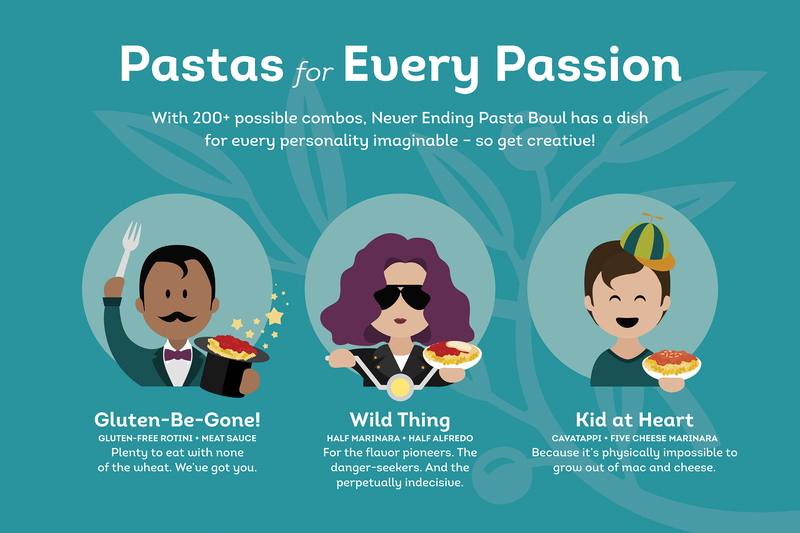 To celebrate the 21st anniversary of the Never Ending Pasta Bowl, last month Olive Garden made an unprecedented 21,000 Never Ending Pasta Passes available to their fans, all of which were claimed immediately. 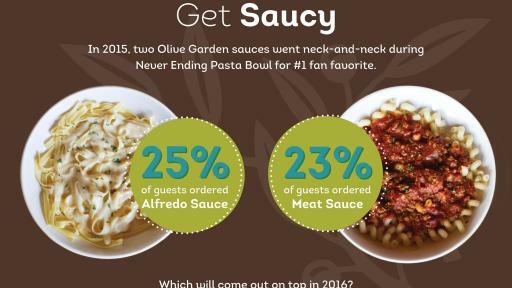 This was the third year in a row Olive Garden sold Pasta Passes for its Never Ending Pasta Bowl promotion. 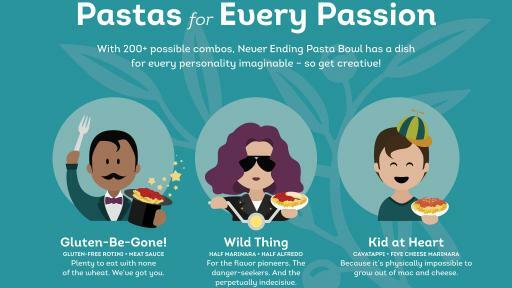 Last year, the restaurant sold 2,000 passes in less than one minute. 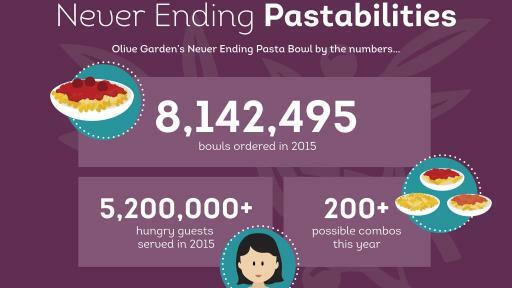 Pasta Pass holders can enjoy unlimited Never Ending Pasta Bowls from Oct. 3 through Nov. 20 at any Olive Garden across the country by simply presenting the pass. 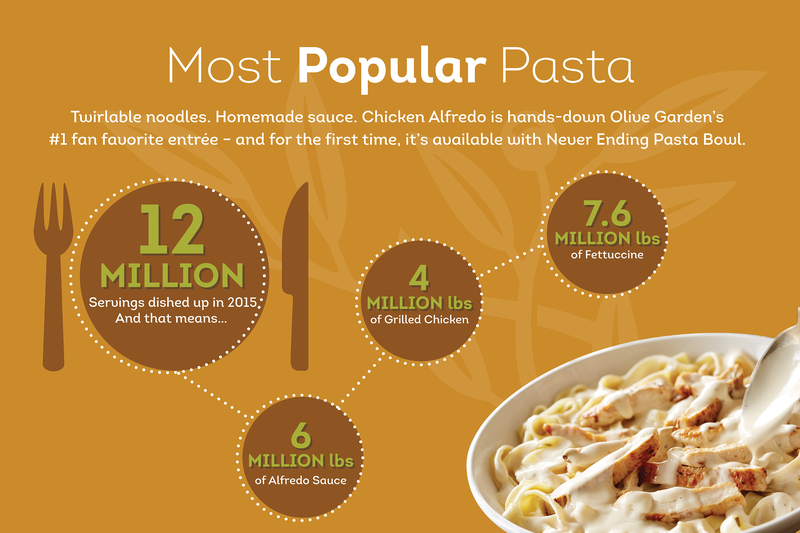 Guests can follow along and join the conversation with #NeverEndingPasta and connect with Olive Garden at Facebook.com/OliveGarden, Twitter.com/OliveGarden and Instagram.com/OliveGarden. 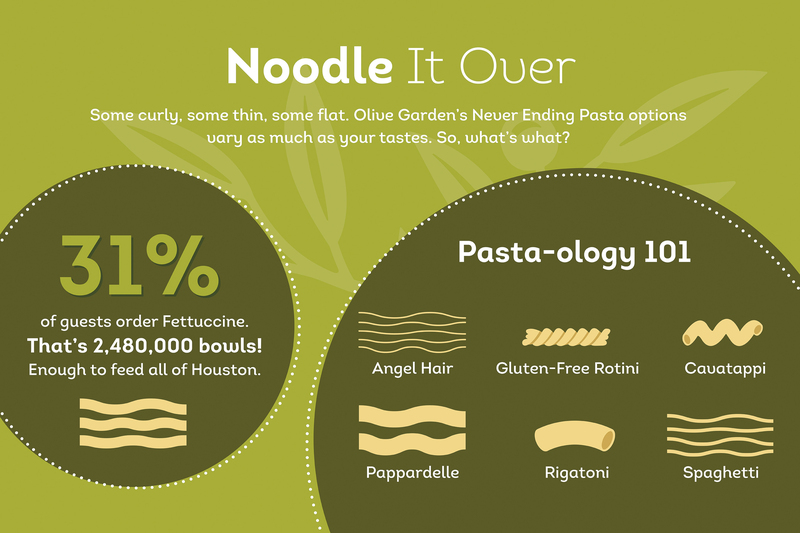 For more information and to find your nearest Olive Garden restaurant, visit OliveGarden.com. 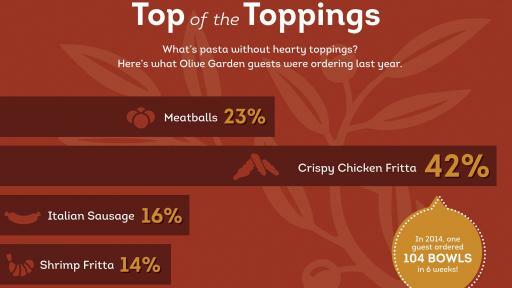 Olive Garden is the leading restaurant in the Italian dining segment with more than 800 restaurants, more than 96,000 employees and more than $3.8 billion in annual sales. 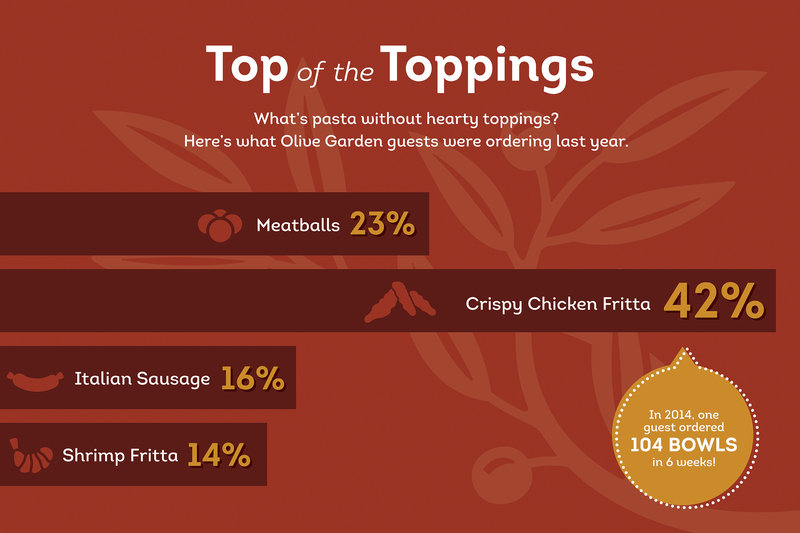 Olive Garden is a division of Darden Restaurants, Inc., (NYSE: DRI), which owns and operates more than 1,500 restaurants that generate over $6.8 billion in annual sales. Headquartered in Orlando, Fla., and employing more than 150,000 people, Darden is recognized for a culture that rewards caring for and responding to people. 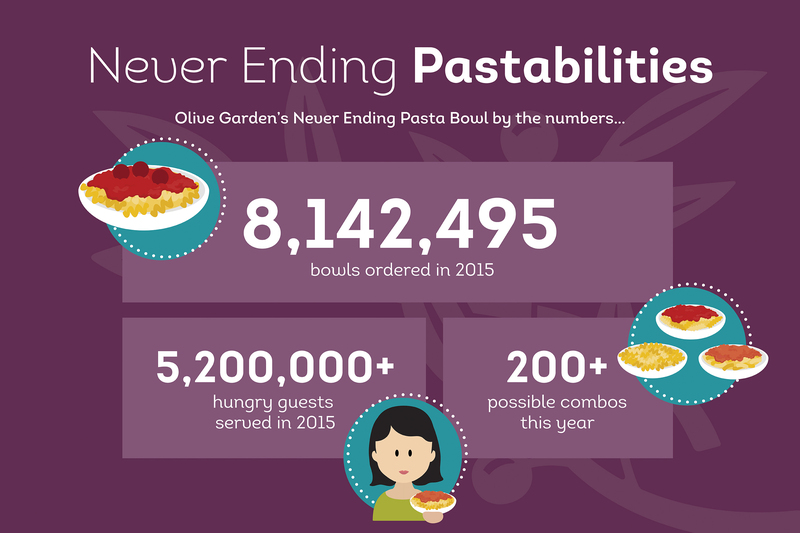 Olive Garden is committed to making a difference in the lives of others in the local community. 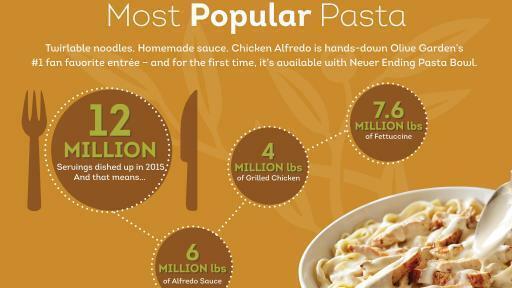 As part of this commitment, Olive Garden restaurants have donated more than 35 million pounds of food to local community food banks across the country. 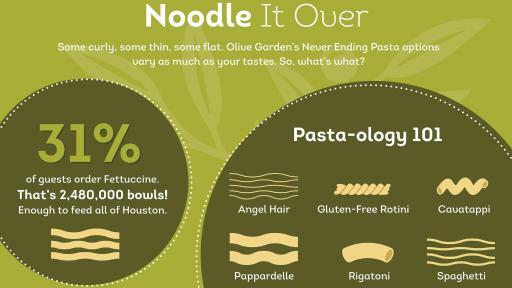 For more information, visit www.olivegarden.com. 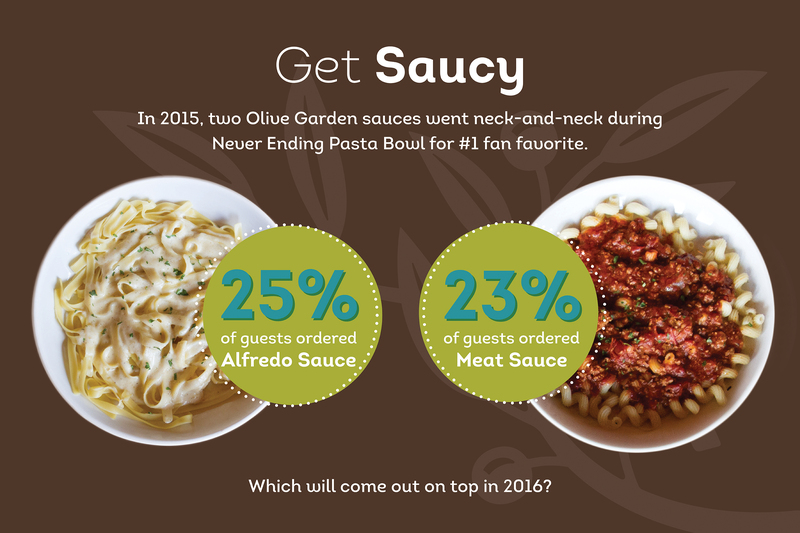 Connect with us on Facebook.com/OliveGarden, Twitter.com/OliveGarden and Instagram.com/OliveGarden.